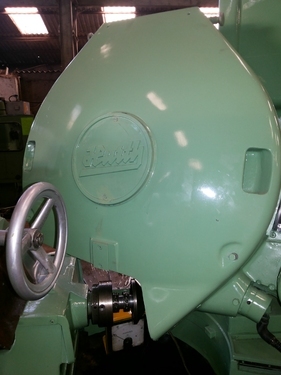 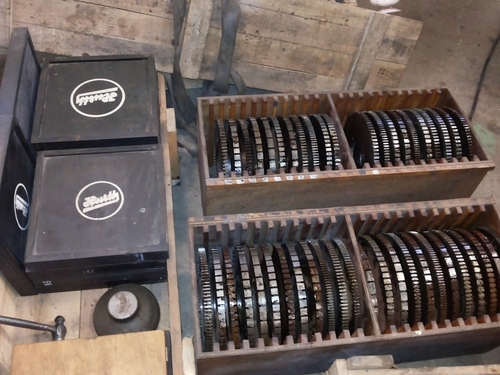 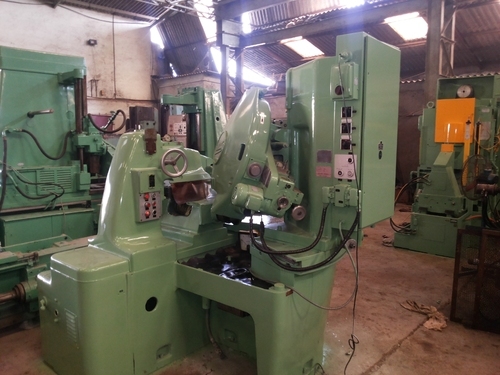 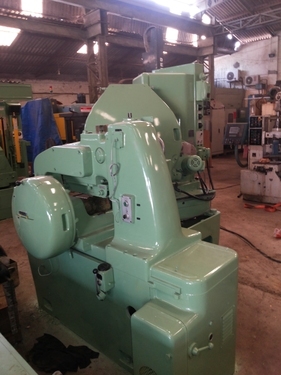 The machine is Ex European Gear Shaver Cutter manufacturers and regrinders of used cutters. 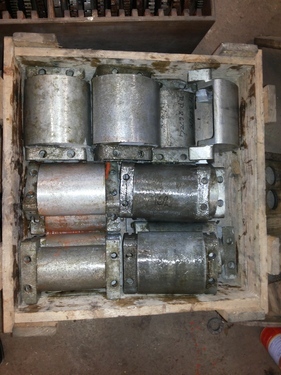 Swivelling Aluminium blocks and steel bands ,manderels etc. 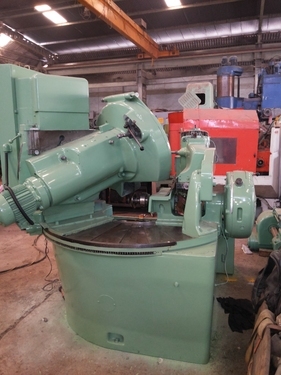 It is also suitable for master gears as well as cutters for gear shapers. 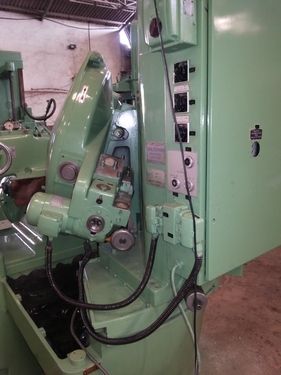 Speeds of workpiece slide 5, 20, 30, 40 teeth per min.